At the end of WWII, navy lieutenant “Nick” Nixon returned from the Pacific and set his cap at Congress, an idealistic dreamer seeking to build a better world. Yet amid the turns of that now-legendary 1946 campaign, Nixon’s finer attributes gave way to unapologetic ruthlessness. The story of that transformation is the stunning overture to John A. Farrell’s magisterial biography of the president who came to embody postwar American resentment and division. Within four years of his first victory, Nixon was a U.S. senator; in six, the vice president of the United States of America. “Few came so far, so fast, and so alone,” Farrell writes. 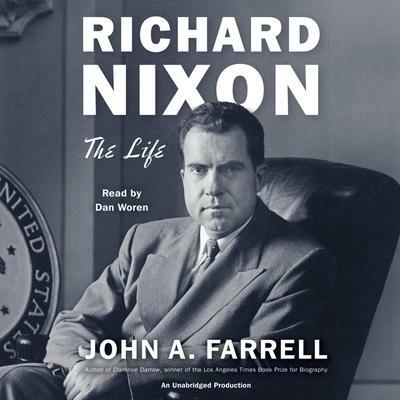 Nixon’s sins as a candidate were legion; and in one unlawful secret plot, as Farrell reveals here, Nixon acted to prolong the Vietnam War for his own political purposes. Finally elected president in 1969, Nixon packed his staff with bright young men who devised forward-thinking reforms addressing health care, welfare, civil rights, and protection of the environment. It was a fine legacy, but Nixon cared little for it. He aspired to make his mark on the world stage instead, and his 1972 opening to China was the first great crack in the Cold War. Nixon had another legacy, too: an America divided and polarized. He was elected to end the war in Vietnam, but his bombing of Cambodia and Laos enraged the antiwar movement. It was Nixon who launched the McCarthy era, who played white against black with a “southern strategy,” and spurred the Silent Majority to despise and distrust the country’s elites. Ever insecure and increasingly paranoid, he persuaded Americans to gnaw, as he did, on grievances—and to look at one another as enemies. Finally, in August 1974, after two years of the mesmerizing intrigue and scandal of Watergate, Nixon became the only president to resign in disgrace. Richard Nixon is a gripping and unsparing portrayal of our darkest president. Meticulously researched, brilliantly crafted, and offering fresh revelations, it will be hailed as a master work.